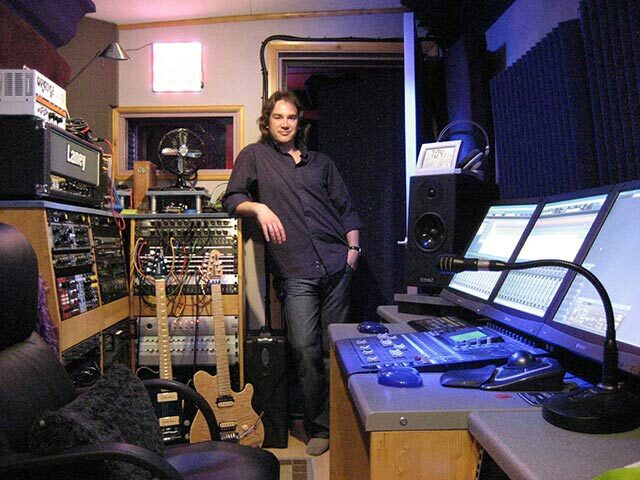 Blue Lizard Studio is the private project studio of Richard Davidson-Guiraud, who operates all of BLS’s aspects of recording and engineering. The compact studio can accommodate up to four visitors at a time and consists of a control room and an adjacent isolation booth, specially treated to create an acoustically neutral recording space (ideal for the clean recording of vocalists). Larger ensemble or band recording sessions are accommodated by using the mobile rig out on location at a larger ‘live room’ to capture material. BLS has access to a suitable ‘live’ room for such projects or, if required, the location rig can be brought to your venue for a tracking session. The resulting tracks are then transferred to the studio system for any further overdubs, editing and mixing. Richard holds a Law degree (LLB Hons) and has previously worked for many years as a music technology teacher and technician in secondary and Further Education and is an examiner of recording coursework for the A Level Music Technology specification. Through his professional and private interests, he has wide ranging experience in live & studio recording, PA engineering and working with dance & theatrical performances and school groups. Please contact Richard at Blue Lizard Studio to discuss your sound recording, editing, mixing or mastering requirements with complete confidence.